Baalbeck is located on two main historic trade routes, one between the Mediterranean coast and Syrian interior and the other between northern Syria and norhtern Palestine. This Phoenician city, where a triad of deities was worshipped, was known as Heliopolis during the Hellenistic period. Today the city, 85 kilometers from Beirut, is an important administrative and economic center in the northern Beqaa valley. 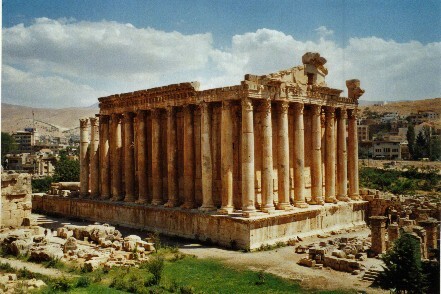 Baalbek, with its colossal structures, is one of the finest examples of Imperial Roman architecture at its apogee.